View the product image above and check out the precise details and craftsmanship put into this remarkably durable Leather Girth. 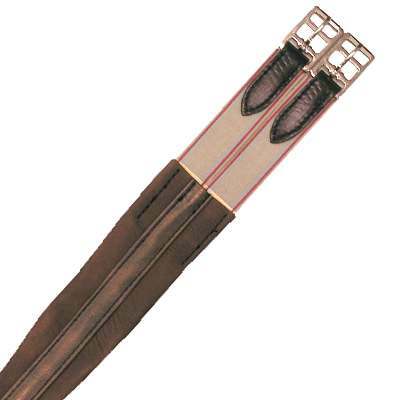 Economy leather girth with elastic on the one end and two buckle rollers on either end.Brown. You will be amazed of the high quality of our horse tack products.